As a wine enthusiast, visiting California Wine Country may be something that has been on your to-do list for several years. If you are finally ready to plan your long-awaited trip, consider the following suggestions when you develop your vacation itinerary. There are so many great places that are conveniently located in the region. Whether you are staying for a few days, a week, or even a bit longer than that, you can fill your days with exciting or relaxing adventures while visiting Sonoma. Wine tasting is something that has been going on for centuries. The purpose of a tasting is to really explore and appreciate the work that has gone into the creation of the product. Many people who like to attend tasting events personally enjoy describing each of the different flavors in their mouth with each sip. If you are looking for a way to enjoy a wine tasting experience with true professionals who can educate you about the complexities of wine, Sonoma has the answer. One of the best Alexander Valley wineries is the historic Jordan Vineyard & Winery estate. You’ll enjoy a truly unique experience when you visit the Jordan Winery. While you are there, take time to taste several of their popular wines while enjoying fresh food prepared by a skilled chef. During your tasting experience, you will get to learn more about some of the best food pairings while finding out which of the different wine flavors you like the best. Tours and tastings fill quickly so call ahead to reserve your spot. Along with the wine tasting, you can take a tour of the picturesque estate and stop by the vineyards to see where and how the grapes are grown and processed. During the tour, you may have the opportunity to look at the grapes and possibly even taste some of them. 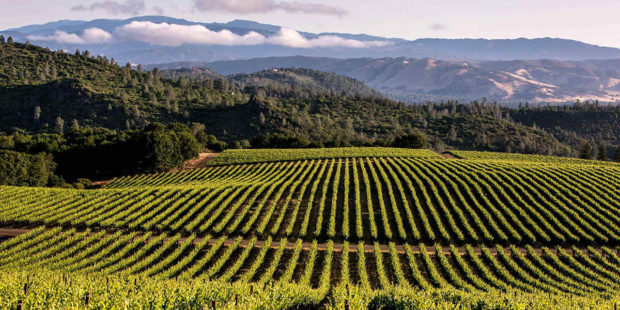 In addition to their famous wineries, Sonoma County has a vibrant and exciting nightlife. From dance clubs to cocktail bars to concert halls, Sonoma has a little something for everyone. If you are ready to try some cleverly crafted cocktails Duke’s is the place for you. Duke’s Spirited Cocktails is an upbeat spot for a snack and a unique libation. It is conveniently located in the historic plaza in downtown Healdsburg. If you brought your dancing shoes along then you’ll want to head to the La Rosa Lounge in Santa Rosa. This is Sonoma’s spot for Vegas-like nightlife. With popular DJ’s and dance parties that go until the wee hours of the morning, Fridays and Saturday nights at La Rosa are a must see. They do enforce a weekend dress code, so be sure to leave your shorts and ball caps at home. If you love the outdoors, then you will fall in love with Sonoma’s nature parks. With 50 regional parks and 11 state parks, there are endless options when it comes to nature walks, hiking, and sightseeing. If you want the best of both worlds, Gualala Point Regional Park is just the spot. This park is located where the river meets the ocean and you can enjoy camping under redwoods one day and then walk to where the surf meets the sandy beaches. It is a great spot for day hikes or picnics, shell or sea glass collecting or whale watching. There are numerous other parks that are ideal for horseback riding, biking, hiking and more. Check with the local park service so you are sure which trails allow animals or bikes. There aren’t too many things more romantic than a destination wedding. Imagine you and your loved ones gathering in this gorgeous part of the country to celebrate a wedding. Wine caves are surprisingly romantic places for a wedding ceremony, rehearsal dinner, or reception. With elegant decor and exquisite lighting, the wine cave can create the perfect ambiance for your special day. As an added bonus, the temperature is always perfect. The Valley Ford Hotel is a historic 1864 home that has been exquisitely turned into a hotel and event hall. You can rent the entire space for your wedding celebration. Call ahead, it is a popular wine country wedding venue. If an outdoor wedding is what you dream of, then Garden Valley Ranch is an ideal choice. Garden Valley is a working rose farm that spans over five acres. It’s gardens, koi ponds, fountains and pergolas provide the perfect backdrop for a dreamy, fairytale wedding. As someone who loves wine, visiting California Wine Country may be like a dream come true to you. But you will quickly learn there is so much more that makes Sonoma great, in addition to the wine. You will have a unique and enjoyable experience at each of the different locations on our list. We are sure you will want to return again and again to California’s Wine Country.